When a family first receives a muscular dystrophy diagnosis, the news can be overwhelming. Families suddenly find themselves faced with the need to learn about the disease, how to manage their loved one’s care, how to find the right resources, and how to plan for what lies ahead. Even those who have traveled this road for years continue to encounter unfamiliar obstacles as their loved one moves through different stages of life. At MDA we’re committed to making sure our families receive support and guidance through every step of the neuromuscular disease journey. Today I want to share with you a new resource that many of you may find helpful. A new book, Muscular Dystrophy: A Concise Guide, presents a road map for patients and their families who are living with a muscular dystrophy. The Guide is written in accessible, easy to understand language with chapters contributed by prominent leaders in the fields of clinical care, research, and patient advocacy. These experts walk the reader through a wide range of useful information, including the causes of each type of muscular dystrophy, available options for symptom management (including physical therapy, orthotic devices and orthopedic care), and issues surrounding the transition from childhood to adulthood. An overview of current treatments for conditions associated with muscular dystrophy also is provided, with high-level descriptions of management strategies used to optimize cardiac, respiratory and orthopedic health. For those who are seeking a deeper understanding of the current status of drug development, the steps that make up the drug development process, and what challenges remain to successfully bring drugs for muscular dystrophies to the market and make them available to patients, there are several chapters that provide a clear and in-depth overview. 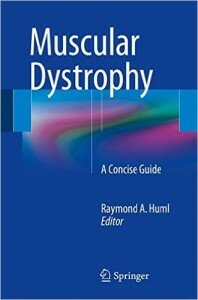 Muscular Dystrophy: A Concise Guide is the brainchild of Dr. Raymond A. Huml, a scientist and father to two young adults who are living with facioscapulohumeral muscular dystrophy (FSHD). 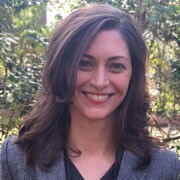 Dr. Huml’s daughter Meredith, who has FSHD, has contributed a chapter on Patient Advocacy Groups, other sources of information and support, and first-hand tips for overcoming the challenges muscular dystrophy brings. Although Muscular Dystrophy: A Concise Guide is written as a handbook to benefit all muscular dystrophy patients and their families, there are chapters specific to Duchenne muscular dystrophy (DMD), Becker muscular dystrophy (BMD) and FSHD. Paperback and electronic copies of the book are available through online retailers and other outlets.